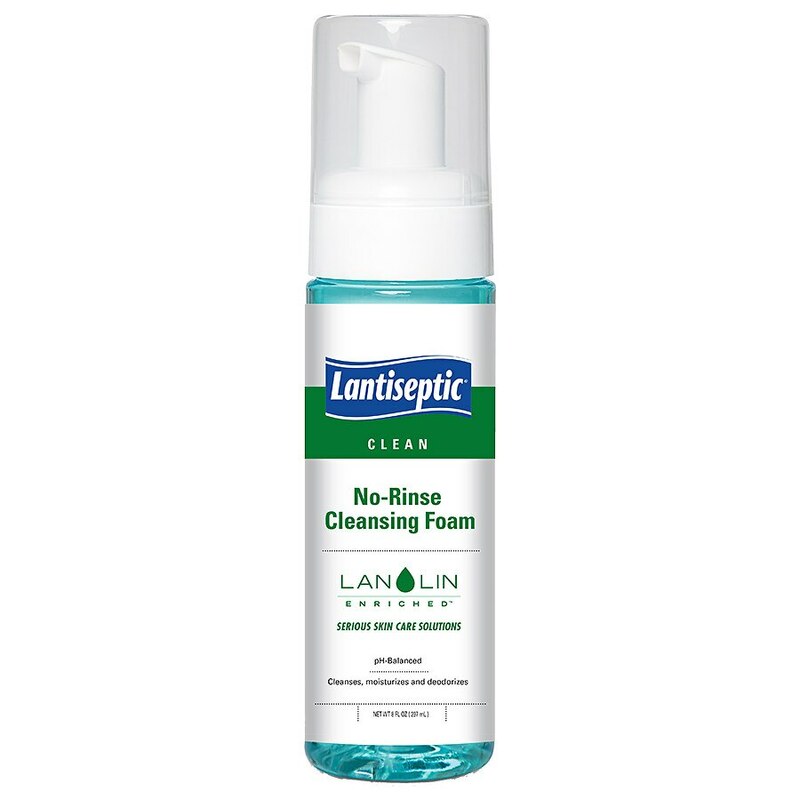 Lantiseptic No-Rinse Cleansing Foam is a one-step, no-rinse solution designed to cleanse, moisturize and deodorize. The lanolin enriched and pH-balanced formula is gentle and non-irritating on all body areas including the perineum. Foaming wash stays in place to emulsify feces and cleanse urine after incontinent episodes. Spray foam onto the area to be cleaned. Gently remove any residue and wipe clean with a moist cloth. Repeat as needed.